In 2018, approximately 5.5 million homes were sold in the United States. As most people are aware, selling a home is a long and complex process. While in the process of buying or selling a home, you should never overlook having a home inspection. Although most people know a home inspection is important, not everyone knows who is responsible for the cost. In this article, we’ll walk you through who is responsible for the home inspection cost. Who Pays to the Home Inspection? It’s hard to believe there was a time when home buyers used to not have a home inspection, or it was not as common. Nowadays, almost every home buyer performs a home inspection prior to closing on a property. The buyer is responsible for paying for the home inspection. Once the seller accepts the offer and the house goes into escrow, the home inspection takes place. Having the home inspected will give the home buyer a full report of any issues that are wrong with the house. The buyer can ask the seller to repair minor issues or they can re-negotiate the offer on the home. 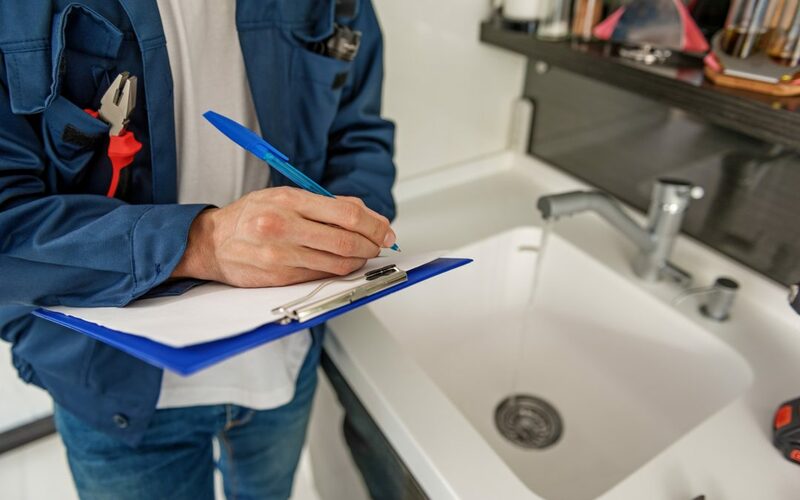 The rate of a home inspection depends on a variety of factors the location, size of the home, the inspector’s experience, and the real estate market. In some states, home inspectors are not required by law to have a home inspector’s license. If this is the case in your state, these services might be a lot cheaper than a licensed inspector. Home inspectors with an established career and track record will also charge more money for their services. Make sure you always know how much experience a home inspector has in order to understand their pricing. The cost of a home inspection might also depend on the square footage of the home. While some inspectors charge a flat fee for an inspection, they might reserve the right to charge more for extra square footage. In areas with a high demand for real estate, the need for inspectors might spike up their rates. As we mentioned before, the rates of inspection depend on the location and real estate market. For example, we at Class Home Inspection in the North East Ohio area charge a flat residential fee of $350. A home inspection takes between 2 to 3 hours to complete depending on the size and square footage of the home. After the inspection has concluded, it will take the home inspector a few days to get back to the seller with a full report. While each inspector is different, most inspectors will cover the basics to provide buyers with a full report. This is a general list of what inspectors look for. Some inspectors might also look for radon, termites, and asbestos. If there’s a particular thing you want to be inspected, make sure you consult with the inspector beforehand. Make sure you have a checklist of questions you need to ask a home inspector before you hire them. While the buyer is the one who pays for the home inspection, the seller is also responsible for some of the costs after they get the results. Water Damage: If the inspection reveals water damage, it could mean bad news for the seller. Failure to repair the water damage could cause the seller to walk away from the sale. Water damage is a repair that can set a seller back an average of $2,500. Mold: If the inspector finds water damage, there’s a chance that mold will also be present. After exposure to water, mildew and mold will appear within the first 24 to 48 hours and continue to grow. Sellers will most likely have to pay for the cost of removing the mold before the sale goes through. Plumbing: When it comes to the leading cause of water damage and mold, damaged plumbing is also the culprit. The inspector will point out these issues to ensure the buyer is aware. The seller can either repair the damaged plumbing or negotiate the price with the buyer. Electrical Systems: Every home should have an electrical system that is in optimal shape. A faulty or outdated electrical system can be the cause of electrical fires. It’s important the seller fixes and issues relating to the electrical system. In some instances, sellers don’t want to be blindsided by the results of a home inspection. If this is the case, they can have a pre-inspection performed on the house. The process is the same, except the seller will pay for it before the house goes on the market or before they get an offer. Some sellers choose to have a pre-inspection in order to have more time to make the repairs. While some sellers might love the extra time to spread out the costs, it also comes with some cons. Once there’s a home inspection done on the house, the seller has to disclose it with any potential buyers. This might not be a problem if they have proof of the repairs. However, the pre-existing issues could drive potential buyers away in the future. Although this might not always be the case. Now that you know who is responsible for the home inspection cost, you can go through the process of buying or selling a home with more information. Need a home inspector in the North East Ohio area? Contact us to schedule an appointment.